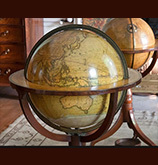 Family owned and operated since 1976, Old World has an expert staff, formally educated and licensed. 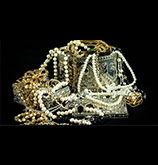 We buy, sell and make collateral loans on jewelry, gold, silver, antiques and more ~ at the most competitive prices ~ and in the biggest showroom in Dayton. The best prices in town; our GIA Graduate Gemologists buy, sell and loan on fine jewelry, diamonds gold, silver, watches, valuable coins and scrap. Come and browse OVER 20 cases of fine jewelry in our new showcase room. 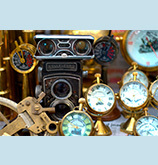 We buy and sell a huge array of vintage and antique goods as well as art of all ages. From furniture and fixtures to art and glassware, we are interested in your old treasures, and house a showcase floor of items ready for sale. We have officially moved to our new 6k sq. foot building! For your convenience, our store is divided into separate areas, including our buying and pawning division, our jewelry & art showroom, a music and instruments section, tools and antiques, and an electronics area. Read our latest posts- and come visit us!